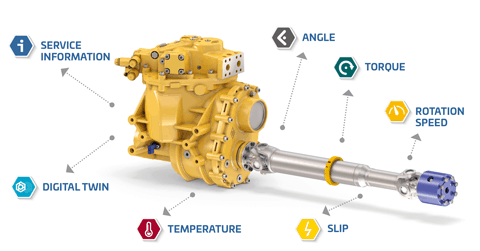 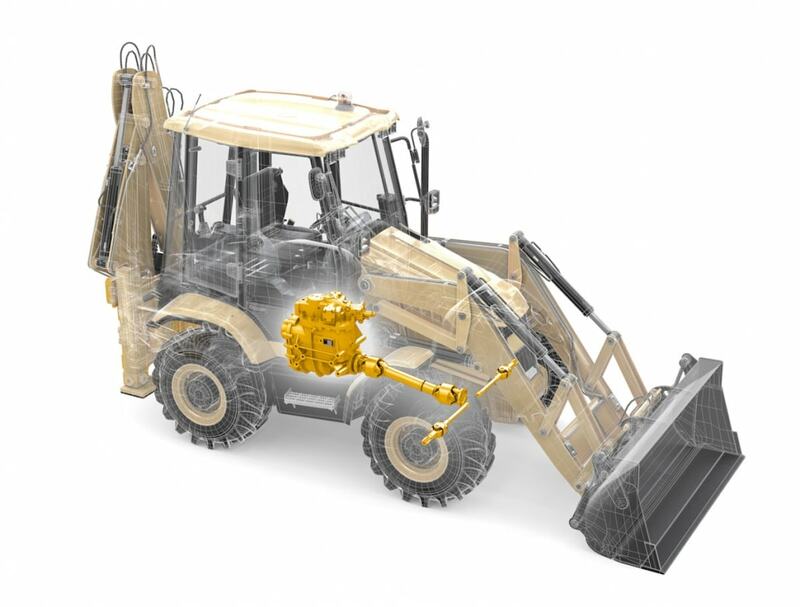 The Double Universal Joint (DUJ) B3000 series from Walterscheid Powertrain Group allows the transmission of significantly more torque – up to 20 percent – without increasing space requirements. 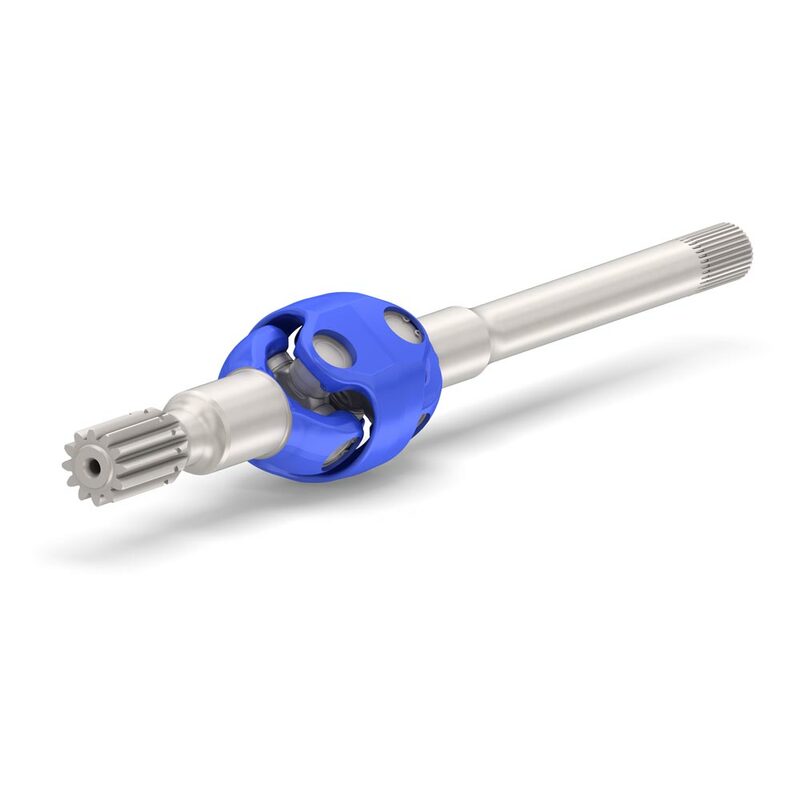 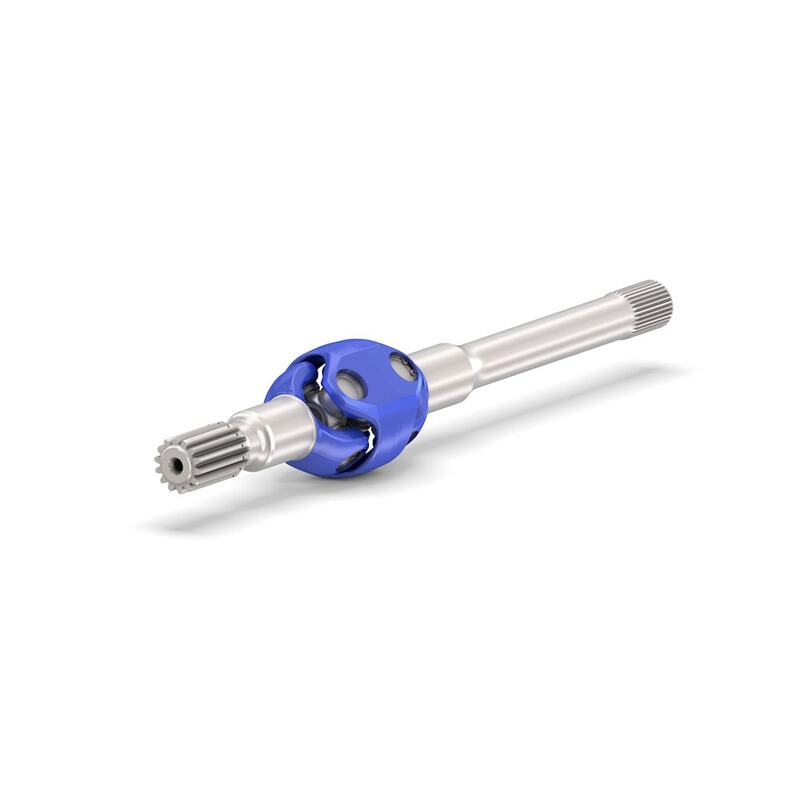 Transmitting higher torque in the same space as the previous B300 series can result in substantial weight savings when new B3000 series DUJs are integrated into an axle, as the axle structure can be smaller and lighter than previously required for the given torque. 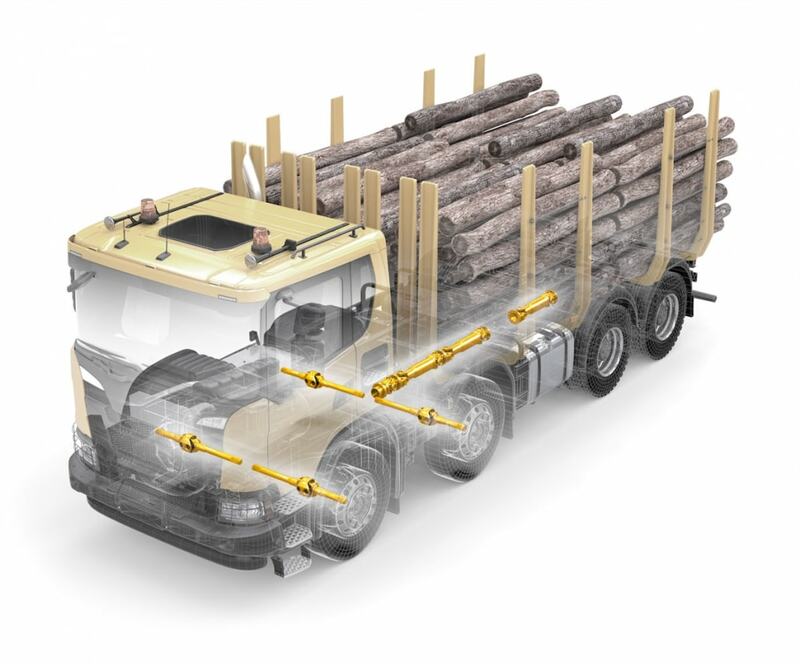 Reducing the structural weight makes vehicles more responsive to the operator’s inputs for acceleration and deceleration. 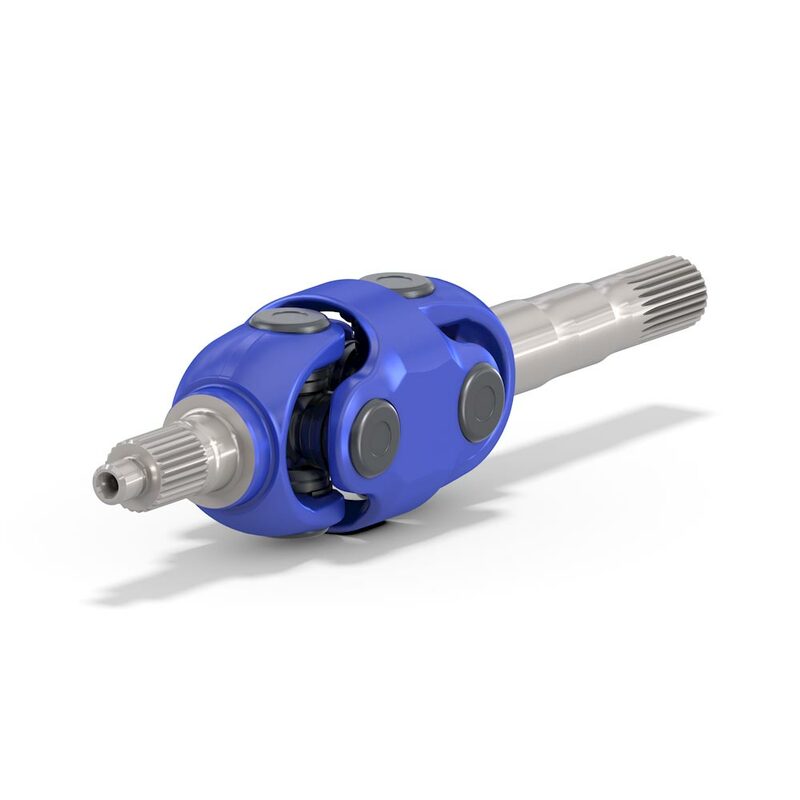 Whilst vehicle manufacturers aim at increasing the available torque, there are limitations when more torque requires larger and heavier components. 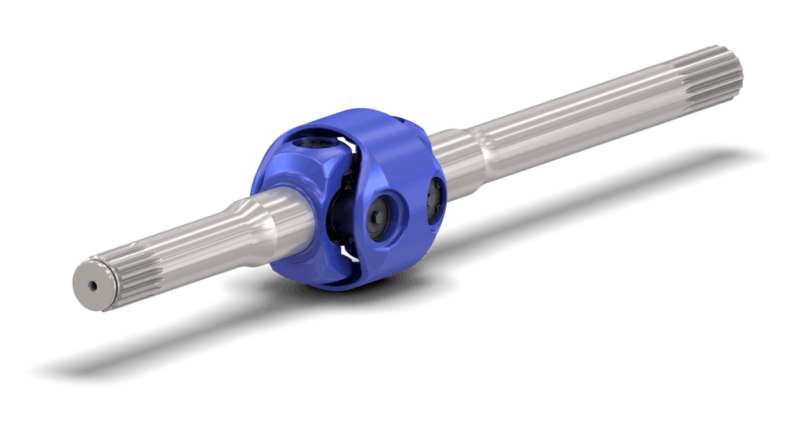 This can result in weight increases of both the DUJ and the axle. 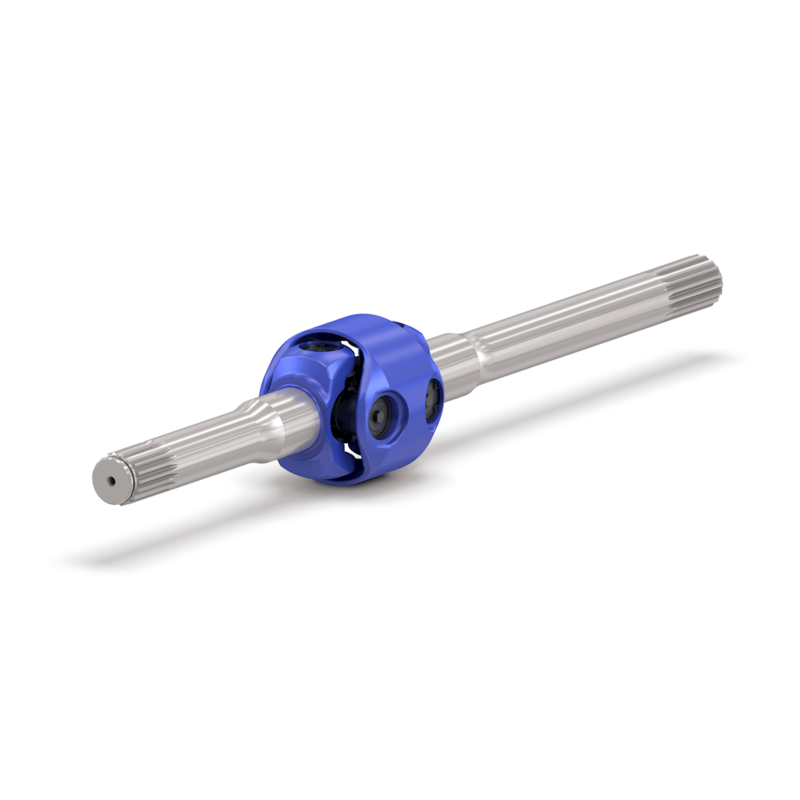 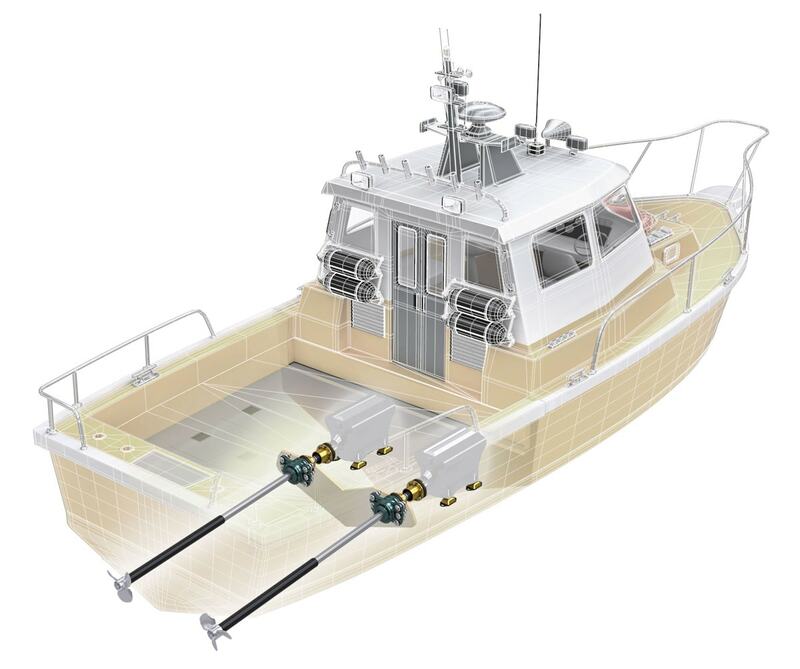 As the torque capacity of the DUJ B3000 series was increased within the same space requirements, however, there is no need for a larger axle, thus avoiding additional weight and cost. 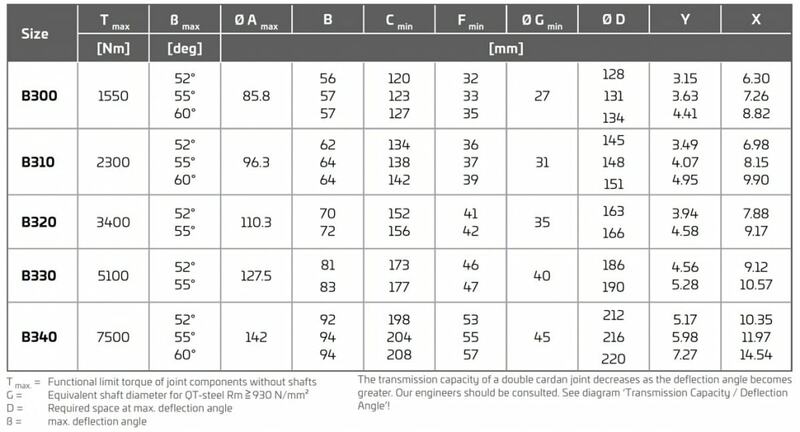 The increased performance at the same weight offers interesting opportunities to vehicle manufacturers who continuously try to reduce the structural weight of their vehicles. 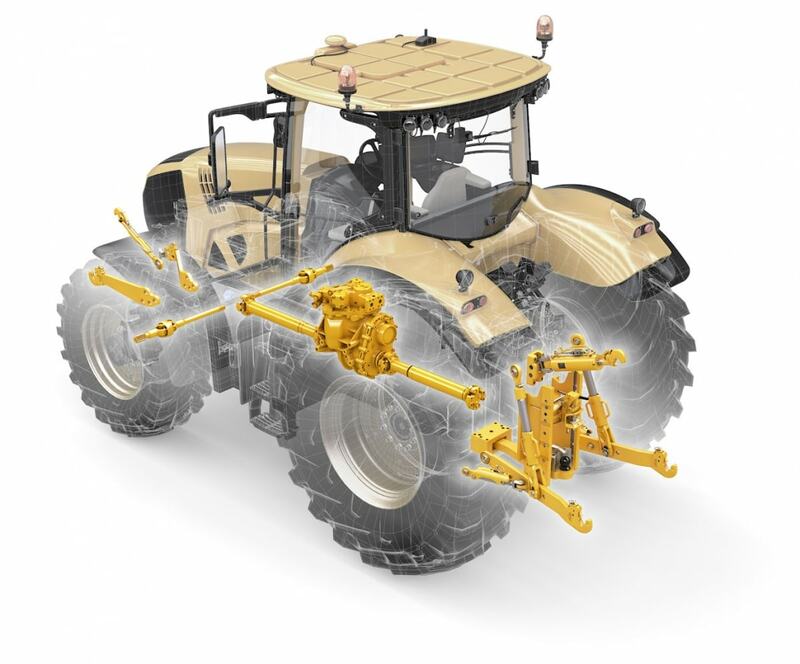 Less weight allows for improved fuel efficiency, thereby reducing the cost of operation. 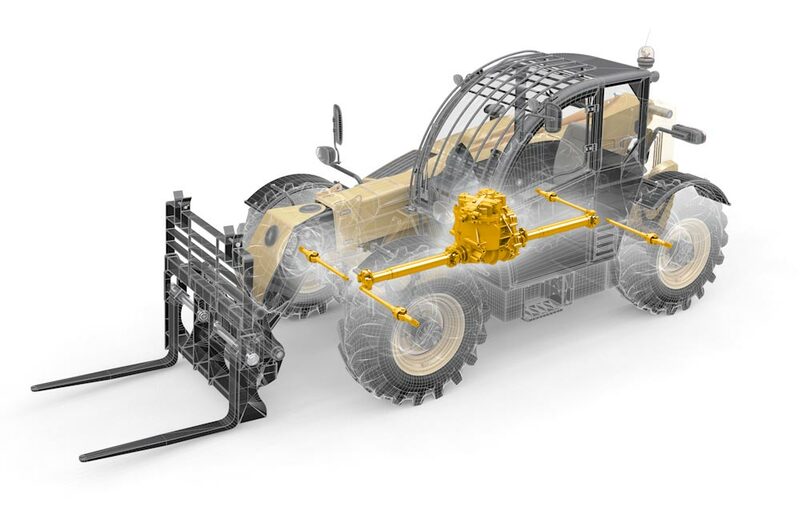 At the same time, reduced emissions improve the environmental performance of the vehicles. 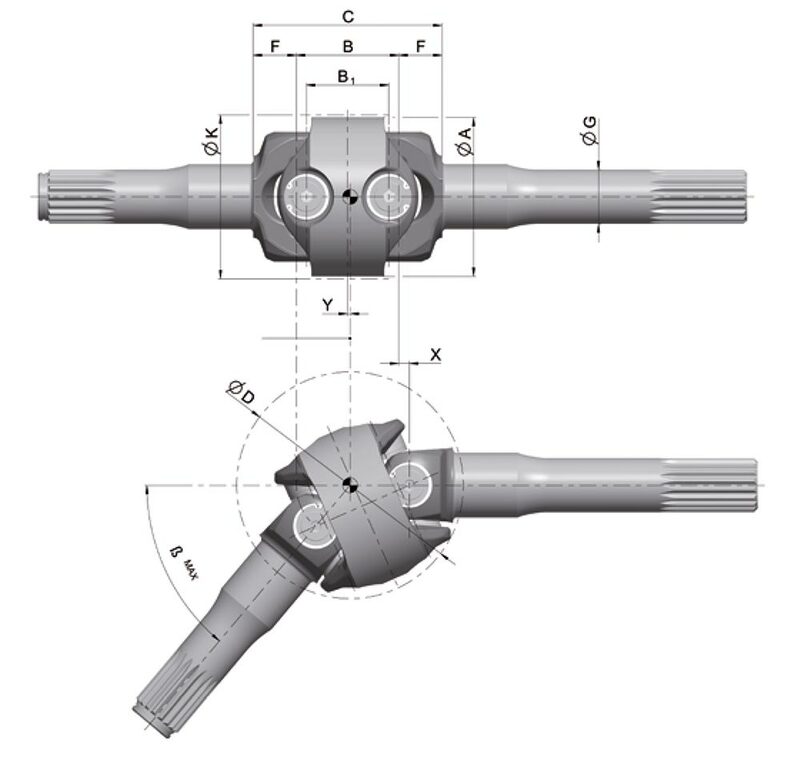 For reducing the nonuniformity of the rotation and for reaching the maximum deflection angle the centre of the joint must be shifted by the distance Y to the fixed side. 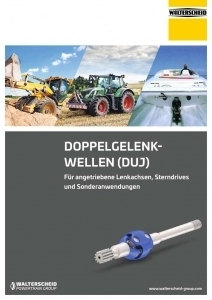 During deflection of the double cardan joint an axial displacement of the driveshaft occurs. 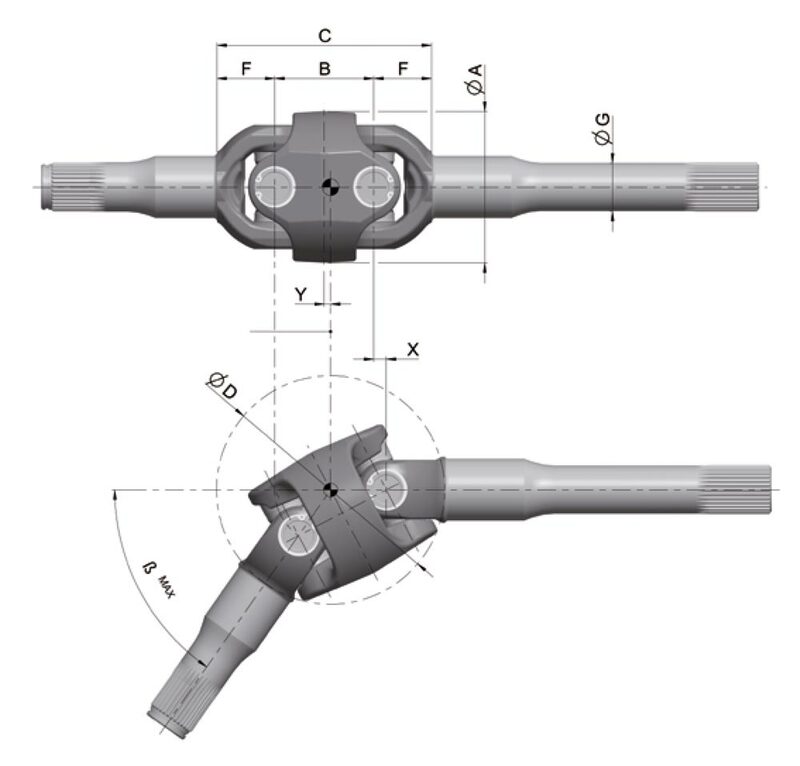 This displacement X must be considered, when dimensioning the spline length and the bearing seat. 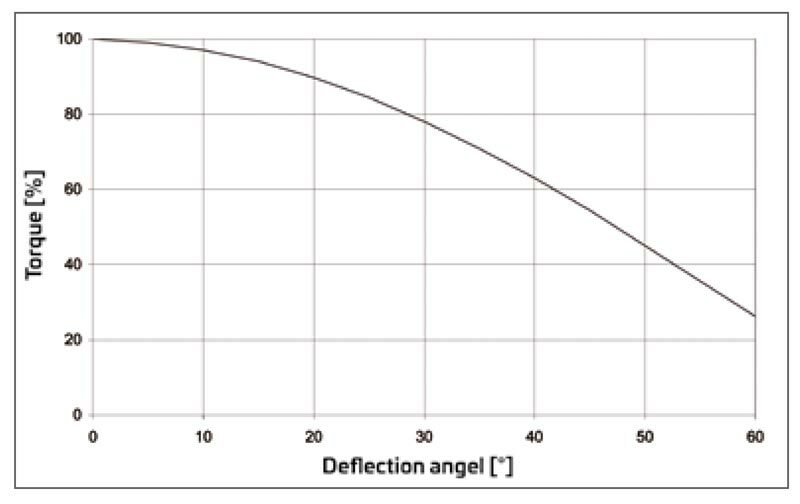 the distance Y to the fixed side.